Curly in the City: Spot what spot, thats a flower! Spot what spot, thats a flower! No resolutions for me, but I do hope to put a little more effort into capturing some more of my favorite 'looks' - I always get through half the day or night - and scream 'Shoot!' in my head - Duh T outfit shots! So around lunch yesterday I told myself I would snap some shots of what I was wearing. I looove my new dress, I was having a good hair day and everything was just working! Then after work I went out to diner to celebrate my Bro's birthday (paaaaasta!!! ), I spilled a little down my front (a common occurrence I swear!) and the wind got the best of my hair. But I pushed on! Spot what spot, thats a flower - you can't notice my drip right?! Geeze how embarassing! I tried to pull it together for the sake of the blog....I can't wait for the dress to get back from the cleaners so I can wear it again! But til then, here was what I wore back to my first day of work in the new year! What a great outfit, you look wonderful! Very fresh way to start the New Year!!! 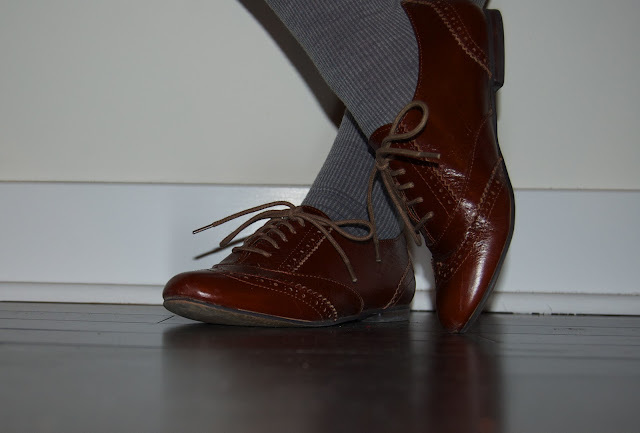 but my favorite item are for sure the oxford pair! Super cute! I love that dress! i LOVE that madewell dress! i've been eyeing it forever and it looks great on you. love outfit pics! You are cute! I LOVE that dress too! you rock oxfords the BEST of anyone i've seen! okay adorable!! dress is the perfect color and the shoes are perfect. yay! Oh I def. vote dress on 'capturing' more of your favorite looks!!! I LOVE THIS DRESS!! That's all. 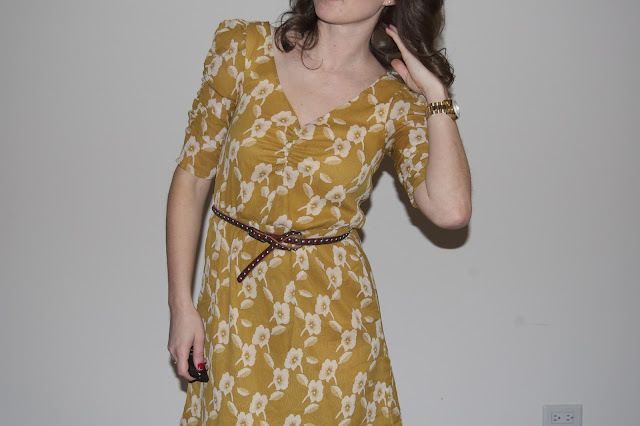 love the mustard color of this dress! so cute and yes definitely remember to take those outfit shots we want to see you ;) ps: bummed you're missing out on the meet up tonight! wow, you look super adorable!!! Love the dress and the oxfords!